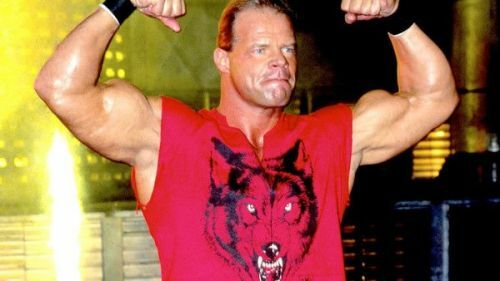 Pro Wrestle Fest, Lucky Thirteen, Connor Promotions, and Captains Corner announced nWo Wolfpac member Lex Luger, former WCW star Glacier, and WWF star Tatanka for Pro Wrestle Fest's largest nWo reunion show. Pro Wrestle Fest offers a unique and one of a kind experience with photo ops with at least 14 nWo members, photos with The Outsiders- Hall & Nash, Vicious & Delicious (Scott Norton and Buff Bagwell), Money Inc. (Million Dollar Man Ted DiBiase and Virgil), The Steiner Brothers, and more. You can have professional photos done in the classic nWo Black and White! Pro Wrestle Fest offers different ticket packages from General Admission, Regular Super Ticket, Black and White Super Ticket, and Black and White Mega Ticket. General Admission will come with a FREE Buff Bagwell autograph! Fans can also participate in a wine tasting event with Kevin Nash, cut a promo with Mean Gene Okerlund, be a part of the nWo panel, and view a live podcast vs podcast show Something To Wrestle With vs 83 Weeks Live! So far, Pro Wrestle Fest announced Sting, Kevin Nash, Scott Hall, Jeff Jarrett, Scott Norton, Buff Bagwell, The Disciple (Brutus Beefcake), Eric Bischoff, Sean Waltman (Syxx), Disco Inferno, Konnan, Scott Steiner, Ted DiBiase, NWO Sting, Nick Patrick, and Mean Gene Okerlund. Fans can also meet Rick Steiner, Glacier and former WWE star Tatanka. Pro Wrestle Fest also offers various ticket combinations from general admission, black and white super ticket, and black and white mega ticket. All offer various special packing for signatures, photo ops and more. There has never been a nWo reunion this large before. There are members of the Black and White, Wolfpac, nWo 2000. The nWo revolutionized pro-wrestling and without a shadow of a doubt be known as one of the best factions in wrestling history. Pro Wrestle Fest is offering the largest nWo reunion ever. This could be the first and last a nWo reunion this large takes place! What are you waiting for, go get your tickets!